If you have been living under a rock until last Sunday evening, you would have thought the Fourth of July came early. 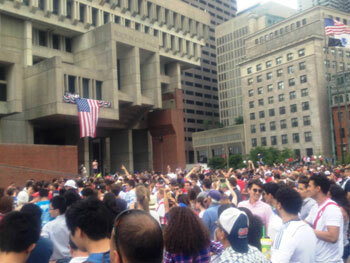 There is an undeniable sense of national pride as the World Cup Craze continues to sweep over Boston. Everywhere, it seems, co-workers are finding ways to stream the live game in the conference room, patio bars are running the game over their sound system, and the less fortunate are fervently checking their twitter feed. Every four years the soccer frenzy returns and it seems that the sport&apos;s camaraderie grows stronger with every cycle. To be completely honest, I do not know that much about soccer, but it is hard to ignore the nostalgia and love for soccer resurfacing when the parks fill up with pickup games, and the hot shot down the bar is bragging about his elite days of Bays Soccer. Granted, I too grew up experiencing the chaotic Saturday mornings looking for cleats and matching shin pads, hoping to God I did not show up in my brother&apos;s jersey, again, and this is a shared experience in the United States. Soccer, in its own way, is also a national pastime. There is a level of correlation for everyone. Whether it was a traumatizing gym class experience or a high school state championship - everyone has an idea of how the game works and can cheer along. 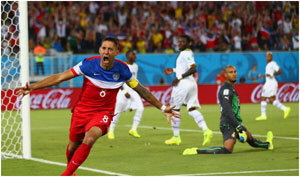 The United States World Cup run has been nothing short of exhilarating. With each match the intensity and drama grow, especially if the teams have a history. First, it was redemption against Ghana: boom. roasted. Then, USA tried their best to take down the Arc De Ronaldo, a man who can make you blush through the television screen, and came up just short. Like, literally, 10 seconds short. 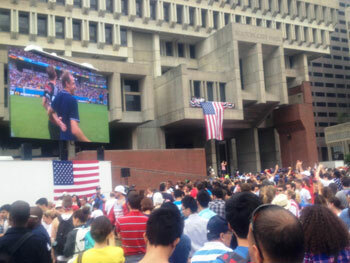 Which brings us to Thursday afternoon; thanks to Mayor Walsh and the New England Revolution, I joined thousands of others on City Hall Plaza to watch the US take on Germany. Not only was this a personal matter for US team manager, Jürgen Klinsmann, but it also determined our nation&apos;s presence in the Knockout Round of 16. Klinsmann coached Germany for two World Cups and was now hoping to take them out of the running. Prior to the game, thoughts of conspiracy abounded because if both teams just agreed to tie, then both would advance. Despite his deep-rooted connections to Germany and personal relationship with German coach, Joachim Loew, not as much as a phone call was exchanged before the game. 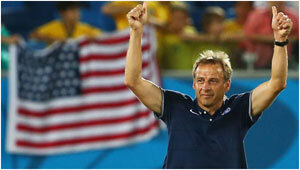 Klinsmann made it clear that the US would do their best to win the game. Well, we didn&apos;t quite pull off the upset but that hardly matters as the USA did land a spot in the final 16 - thank you, Portugal! As I said, I do not know a lot about soccer, but I consider myself in the top of my class when it comes to the best ways to watch a sporting event. The essential components needed to crush your summer viewing experience are a large screen T.V, fresh air, and an enthusiastic environment. I watched the first week of games over in Europe, by the time I made my way to the Netherlands it was as if an explosion of orange had painted the streets. Streamers flew across storefronts, restaurants bought brand new televisions to play the game outside, and fans congregated hours before to celebrate the game. Amidst the excitement, I sat in Remembrant Square with my family and watched the Netherlands take down Australia. 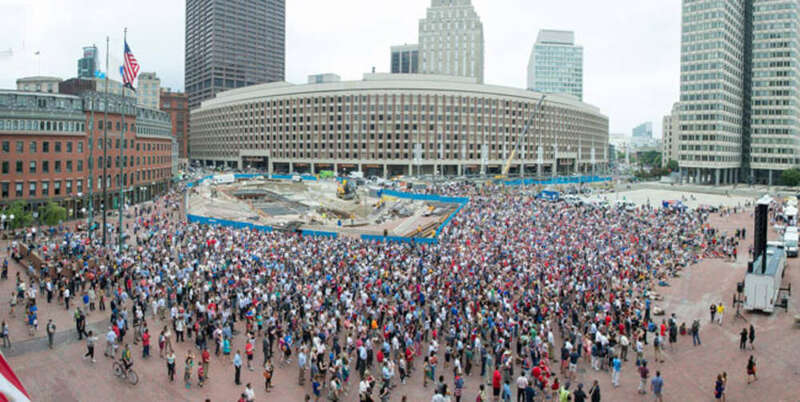 Fast-forward about a week later, and today I found myself in City Hall Plaza with thousands of other fans ready for the big game. Bostonians of all ages lined across the plaza waving flags, tossing a giant beach ball, and business folks broke up their daily routine with some soccer. Mayor Walsh greeted the crowd and declared that more outdoor viewing opportunities are to come. Personally, I could not think of a better way to bring the city together. We have a long way to go before we can parallel Europe&apos;s passion for soccer, but there is a wave and Boston is riding it. I&apos;m thrilled that Boston joined so many other great American Cities in allowing our avid sports&apos; fans the chance to gather together and watch in an exciting outdoor venue. When we really think about it, we are the best market for these kinds of events. After all, the best fans come from New England. I hope to see an even larger crowd next week as our country continues to silence the critics and electrify fans all over the world.